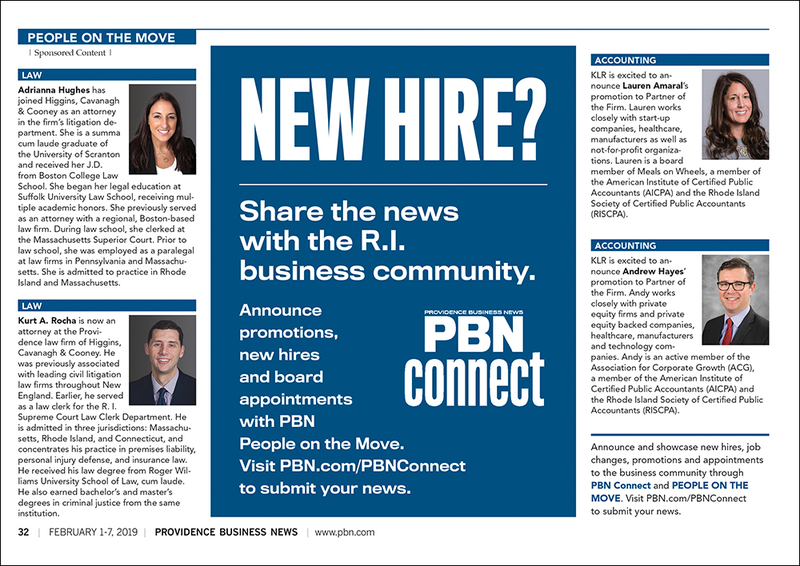 PBN’s People on the Move feature offers your company the opportunity to announce new hires, promotions, special accomplishments and philanthropic activities to the Rhode Island business community. 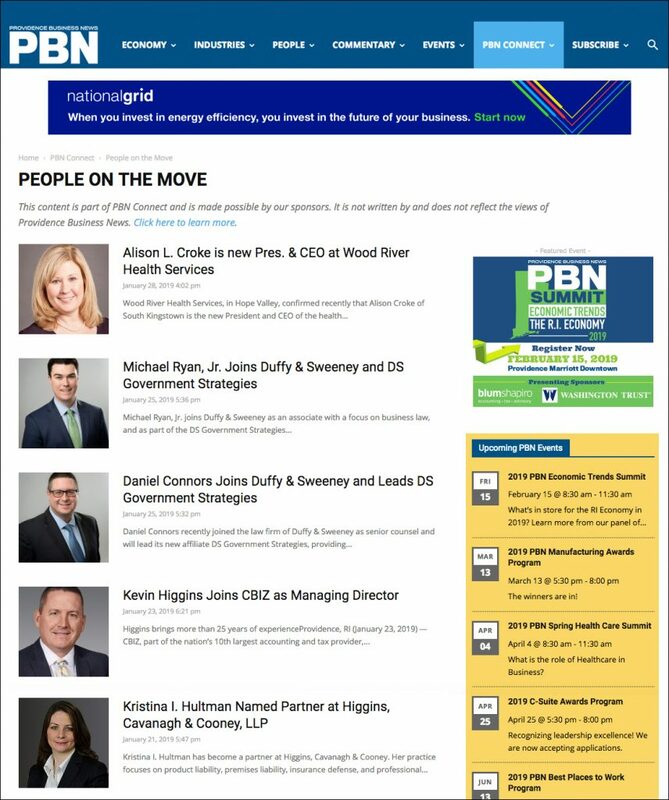 Includes 100 characters of text with one photo. 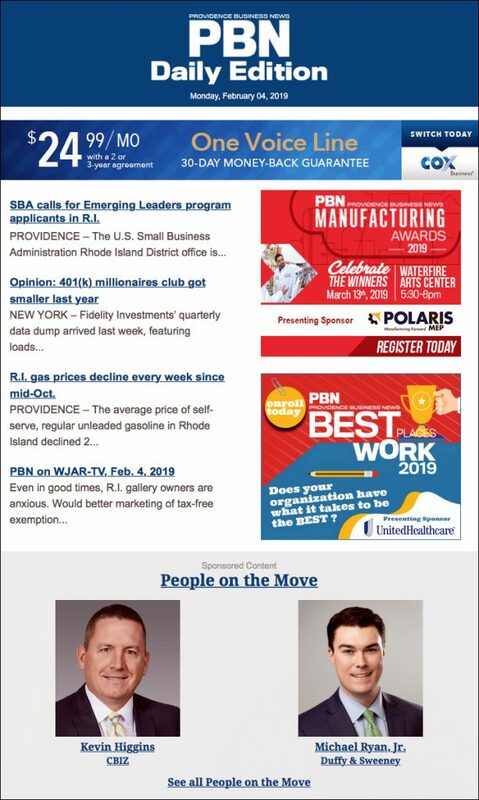 Your listing will appear in print, on PBN.com with shareable links and in one Daily Edition e-newsletter.